According to Forrester’s US 2018 Customer Experience (CX) Index based on 47 experience drivers, the Department of Veterans Affairs (VA) was one of two federal agencies that improved their customer experience in the past year. Today, VA’s Veterans Experience Office (VEO) is the Lead Agency Partner for the White House Cross-Agency Priority (CAP) Goal to improve Customer Experience (CX) within the government and with customers. The Department of Veterans Affairs is committed to providing the best experience in its delivery of care, benefits, and memorial services to Veterans, Servicemembers, their families, caregivers, and survivors. VA’s Veterans Experience Office (VEO) will share its journey and the lessons learned in creating a customer experience (CX) office for the VA, its selection as the CX lead agency partner for The White House CAP Goal, and future implementations in CX in the federal government. VA has established CX as a core competency in the Department and consults the entire Federal Government in the implementation of CX, founded on industry best practices in CX, including human-centered design (HCD), to hardwire the voice of the customer into VA strategy and Federal Government CX strategy. VEO serves as the authoritative organization in customer experience with the responsibility of setting a VA-wide strategy and applying CX capabilities across VA. This includes collection, analysis, and management of qualitative and quantitative CX data and insights, development and implementation of CX tools and products, deployment of integrated multichannel technologies, and targeted customer engagements. 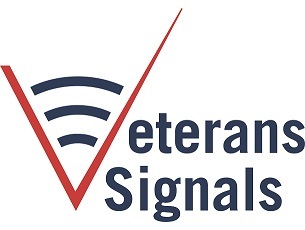 VSignals is the measurement environment used by VA enterprise to deploy, collect, and analyze all customer insights to help inform for opportunities in immediate to short-term service recovery and long-term program and systems improvements.